Even though I’m way down South in Barbados I can feel the excitement of my fellow Canadians. The excitement of the upcoming May 2-4 weekend! 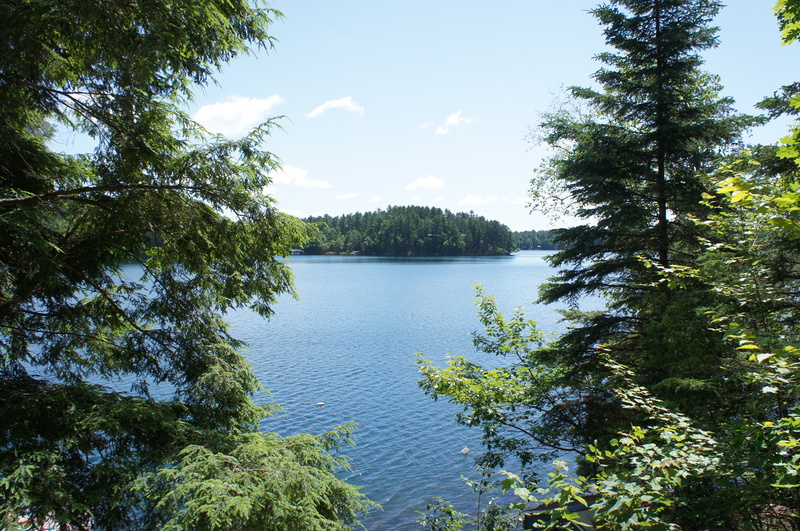 This is a favorite among Canadians because even though it’s usually cold & raining and full of bugs, it means that we survived the winter – it’s the official kick-off to the sacred Canadian cottage season. Now I know that you’re all really excited, but remember that you have the entire summer ahead of you. An entire summer of bathing suits, shorts, tank tops & sundresses that you want to make sure still fits you when the real nice weather begins. Before you pack up your trunk with high-sugar coolers (ie.Vex – I can’t believe I used to drink that! ), cream-based liqueurs, regular beer and aspartame-loaded, sickeningly sweet mixes; you may want to re-think your strategy. You can have your cocktails & drink them too – without the extra sugar, fat & cals. I put together a list of healthy (as healthy as alcohol can be), low-calorie drink options that should get you through the long weekend, and the much-anticipated spring/summer season. Cheers! Fill your shaker with mint, sugar & lime juice*. Using your muddler; smoosh it all together. 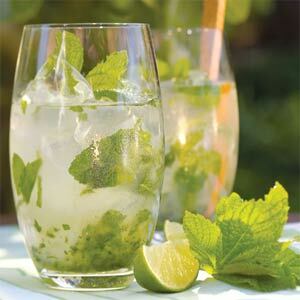 Add the rum, club soda & ice – shake, shake, shake – strain into glass (a nice glass makes the drink taste better), and garnish with fresh lime wedge – enjoy! *Smoosh in some fresh raspberries or strawberries to change up the flavor and get some extra vitamins! Serve up this coconut-flavored rum in a low-ball filled with ice, and you’ll feel like you’re on a beach in the Caribbean. I personally love the taste of tequila (especially a good one like Patron), but this one may not appeal to you if you’re one of those people who’s had a “bad night with tequila.” Tequila is another spirit that’s gluten-free – a good option for those with celiac disease or IBS. Fill a low-ball glass with ice. Add tequila & lime juice, garnish with a lime wedge & enjoy! If this sounds too hard-core, you can always add a splash of real mango or pineapple juice to add a bit of sweetness. Using a Water Infuser Drink Pitcher, make your own flavoured tequila (or any spirit of your choice) without the aspartame, added sugar or cals! You can also use it to make flavoured water, 🙂 which is a healthy, easy way to spice up plain-ol’ water. This is one of my favorites because it’s light & refreshing, and half the calories of a full glass of wine! Or you can have 2 drinks for the price of 1 (in terms of cals)! 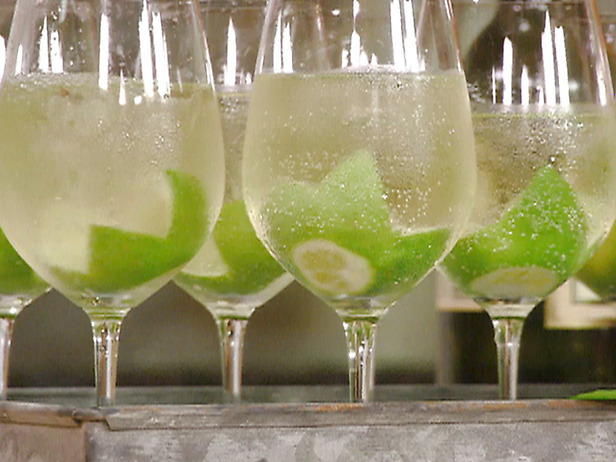 Combine wine & club soda in a nice wine glass, add some ice & garnish with a lime wedge – enjoy! No instruction necessary, just make sure you enjoy it chilled, in a nice champagne flute. You can also add a splash of cranberry juice or orange juice to change it up. Matt and I always add crushed raspberries and/or blueberries to our mojitos too. So yummy!! We tried your mango curried chicken last night with quinoa and LOVED it!